MainAll NewsInside IsraelWill PA be forced to pay for hospitalization of terrorists? Will PA be forced to pay for hospitalization of terrorists? Israel pays some 25 million shekels a year to treat terrorists. New bill in the Knesset would force PA to cover the expenses. A new bill proposed in the Knesset would, if passed, end Israel’s funding of medical treatments for Palestinian Authority residents held in Israeli prisons on terror charges. At present, the State of Israel covers medical expenses for PA terrorists jailed in Israel, at a cost of roughly 25 million shekels ($6.82 million) annually. 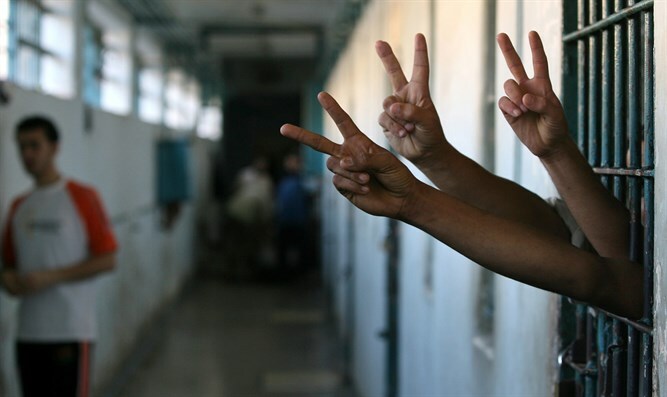 New legislation being considered by the Knesset’s Welfare Committee, however, would require that future medical treatment of PA security prisoners be paid for by tax money collected by Israel on behalf of the Palestinian Authority, rather than from Israel’s own coffers. The Welfare Committee is set to deliberate on the bill Tuesday, Yediot Ahronot reported. Israel collects taxes for the PA from PA residents legally employed in Israeli towns. The tax money is transferred on a monthly basis to the PA.
“The rationale behind this [change] is that anyone who acts based on an ideology which seeks to undermine the existence of the State [of Israel] should not be given medical treatment funded by the citizens [that ideology] seeks to harm,” the bill reads in part.